The indulgent look of leather meets the casual comfort of a recliner in this Walter Motion Living Room Collection by Coaster. This fantastic sofa, love seat and chair set offers the leather look you love with the easy care capabilities of a beautiful bonded leather. A dual reclining sofa and love seat are composed of overstuffed pillow style seats and padded armrests for ultra comfortable seating. A matching rocker recliner continues the casual, overstuffed appeal of the love seat and sofa and offers a dual rocker and recliner feature for enhanced comfort. 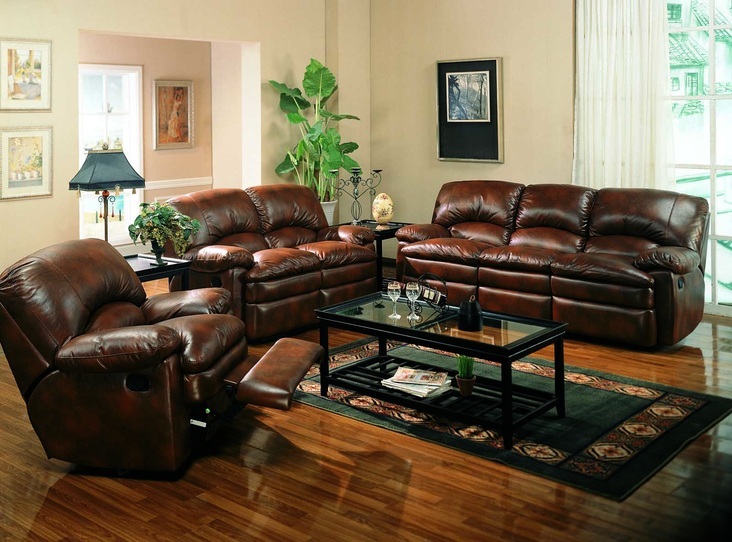 Take home the Walter motion collection for a casual and comfortable living room designed with your comfort in mind.